Should You Get a Thermostat with Geofencing Technology? Evaluating new smart technologies available with some programmable thermostats. 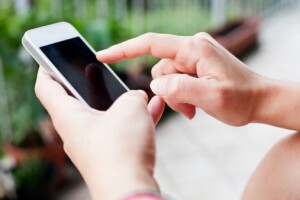 With more and more people relying on their smartphones to handle every aspect of daily life, it certainly makes sense for companies to incorporate smartphone connectivity into HVAC products. While most manufacturers seem to have simply allowed for existing remote access features to be used on a smartphone in addition to on a computer, some companies are trying to incorporate features that take advantage of the unique functionalities of smartphones. One of these functionalities is geofencing. A geofence is a perimeter boundary created around the location of a smartphone or other device, based on GPS or RFID signals. Geofencing has mainly been used to allow advertisers to send targeted messages to users who enter their area. However, it has applications for home automation too, systems can be set to turn on or off based on whether or not the home is within the user’s geofence. The main benefit of using geofencing in conjunction with a smart thermostat is that it eliminates the need to schedule. Instead of having to program the thermostat to turn on or off around the times you typically enter or leave your home on a given day, you can keep your schedule flexible, relying on the location of the geofence to tell the HVAC system whether it needs to be on or off. Unfortunately, geofencing has many drawbacks right now. First of all, there is the simple fact that it requires everyone in the home to have a smartphone in order for the system to recognize their presence and leave the heat or AC on for them. Another drawback is that geofencing doesn’t take care of thermostat changes associated with bedtime. Often, people want to turn down the heat at night when they’re cozy in bed. With a programmable thermostat this could be scheduled for a set time every night, but with geofencing it has to be done manually. One final complaint that people have had is that the geofencing app seems to reduce the battery life of their smartphone. At General Heating & Air Conditioning, we recommend our customers stick with more traditional programmable thermostats for the moment. We offer several different versions from Carrier, some of which have the ability to create a different schedule for each day of the week, which should help to accommodate busy lives. With remote access functionality, programs can always be adjusted if your schedule changes, but you won’t have to worry about the drawbacks associated with geofencing.